NEW LINK I PROMISE THIS WORKS!!!!! Thanks, Wyatt. One of the best videos ever. 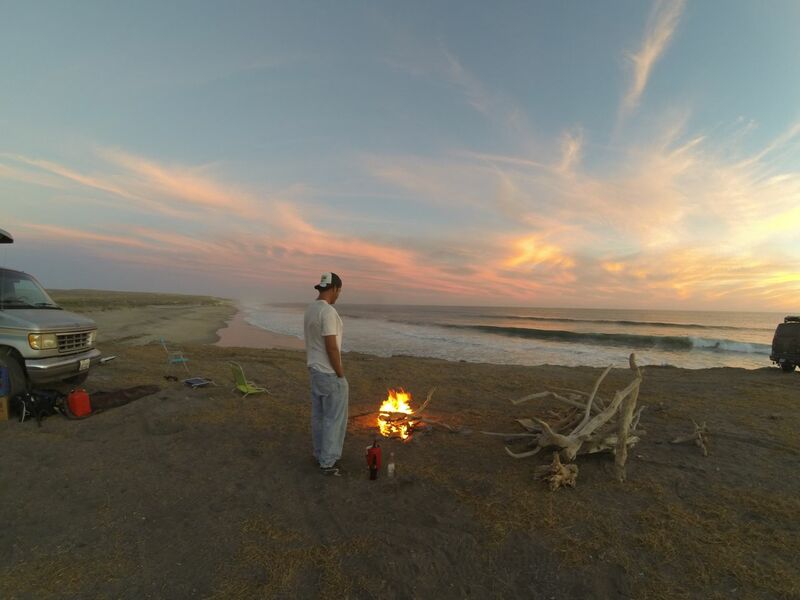 Well I know its summer but I just got back to checking on the report and it seems we got lost in all the dolphin surfing and packing and forgot a couple key finds and stories. First Punta Marquez. If you look back at the beginning of the story you see that we first went to Punta Marquez to watch the Baja 1000 roar through in November. We surfed some small waves in just our trunks but didn't quite realize how close it was to LV at that point having taken a long route in. 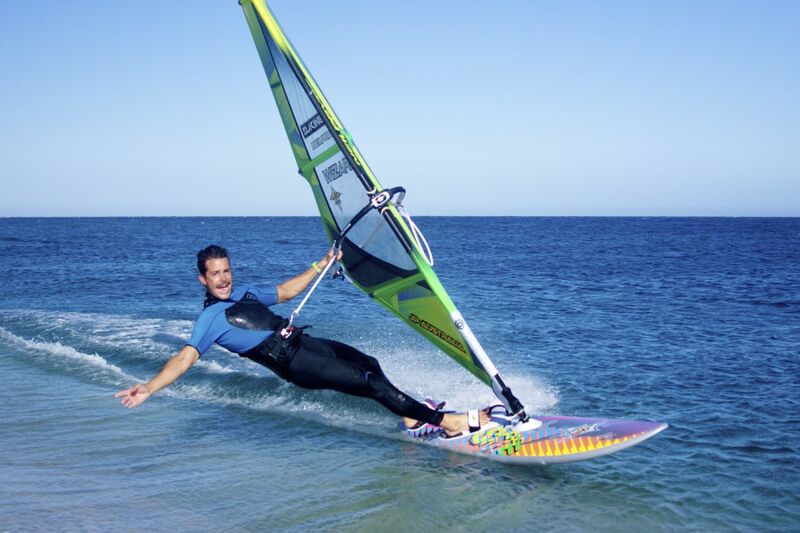 Later in February we wen't back with some err kiter friends, who had been there a bunch and thus new a better way in. 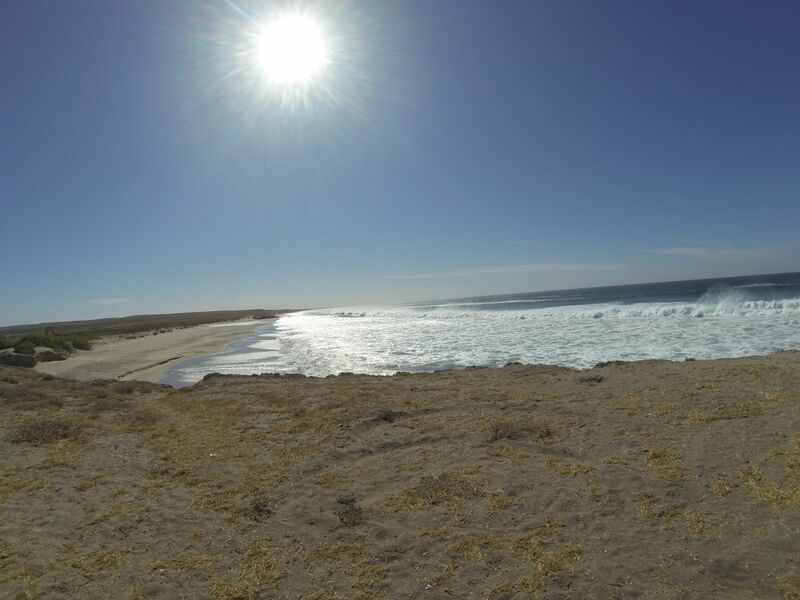 We camped a few times for 2-3 days and found out it is really only 60 minutes from La Paz all the way to the beach in Marquez making it really only 1.5 hours from our door in LV. Thus making it totally doable for a day trip (if one got on it early) or an over nighted. Marquez is a totally deserted point break ending in a long beach. The waves are a lot stronger than San Carlos definitely not as forgiving but since you get to pinch up towards the rock shelf at the point and then wavesail down wave to the long beach it is pretty safe, though you don't want to eat it right on the beach. We SUPed, surfed, and Sailed perfect pealing rights totally by ourselves every day we were there. The water is also really warm, we just used 3/2 short sleeves and probably could have used shorties the whole time. The real sweet thing is that much of the time there is a strong NW blowing on the pacific coast even when it is not so windy in LV, i.e.. you don't have to go there when there is a huge Norte blowing in LV. The Nortes and NW on the Pacific are not the same thing. Somehow we failed to get good photos of the on water action since it was so good no body wanted to sit on the beach and film. 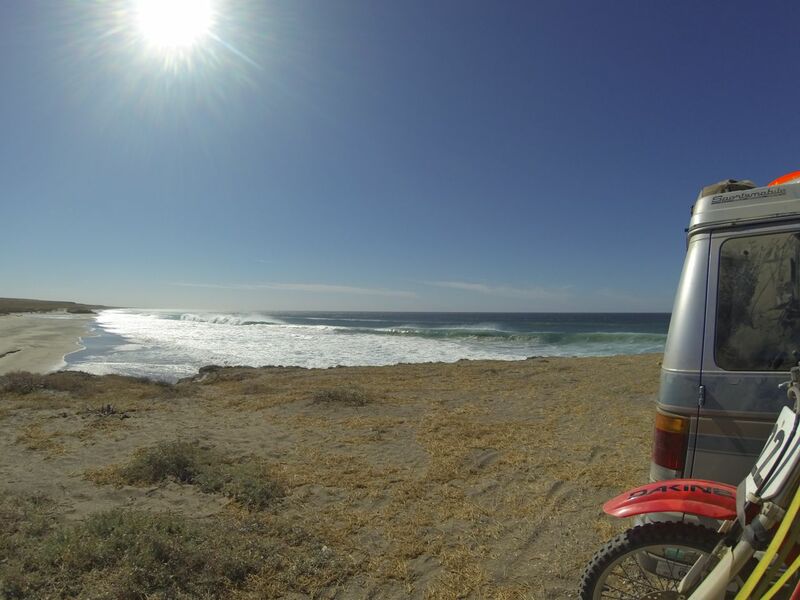 We did get some good shots of the camping, the break and riding motos down the endless sandy beaches. Anyways the place is a total blast you can cruise out for the day or pack motos and camping gear and have the perfect break with long clean waves all to yourself. We will definitely be going back much more frequently next season. 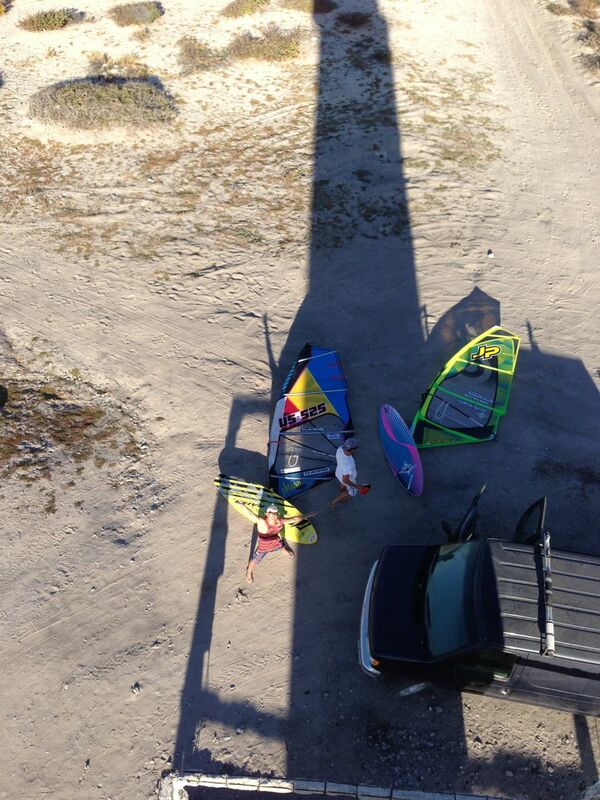 The awesomeness of LV plus 1.5 hrs to endless waves and sideshore wind. How does PWLV get any better??? With all this rain up here in the gorge, i have been doing a lot of daydreaming about the days at Marquez. 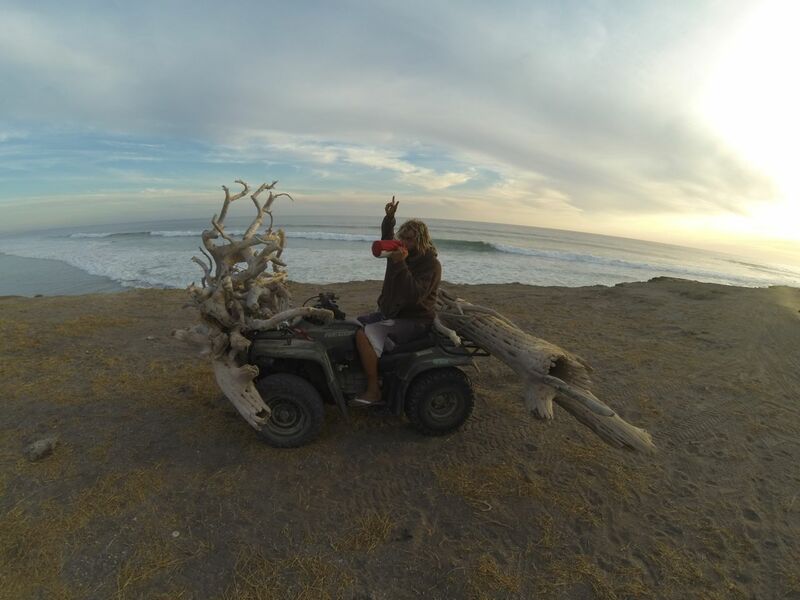 Blastin the motos up and down the beach, surfing every morning, bonfires, ballenas, SUP, and some windsurfing. Looking forward to getting back there!!! Cant wait! 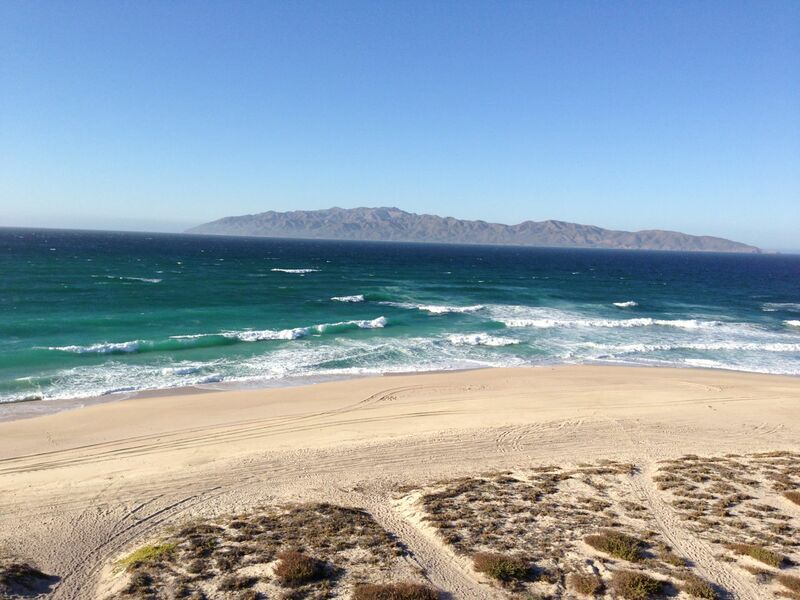 Sooo many cool beaches in Baja. As you know, I'ved been landlocked for over 20 years now, old age and lack of $$$$. Try PuntaAbreojos. Open eyes, cross offshore winds in almost any direction winds. Was going down when Matt and Mike were flying down to the airport there. Towns upwind LaBocana and Hippolito also have right point waves, but possibly less wind. Need that big bay downwind to get some thermal action, I guess. IS there a swell riding spot S of ElRosario, but 9 miles before the turnoff to PSC? Some fellow shop emps said they stay there, more mellow, easy drive just S of town. Anyone go to K-39 anymores? 9 mile dirt track out to PuntaSantaRosarito had nice small 2' point rights, the day we stayed had 15 mph NW sideshore breezes, but we got there late in the PM and headed for Abreojos. We never saw consistent NW winds N of Camalu, but surfing reefs all around, 4 houses, and some reef rights, and one left. Ya LeeD I have been to most of those spots, soo much fun. 7 sisters was my favorite but probably cause I have never gotten 4 casas or Abre Ojos too good. 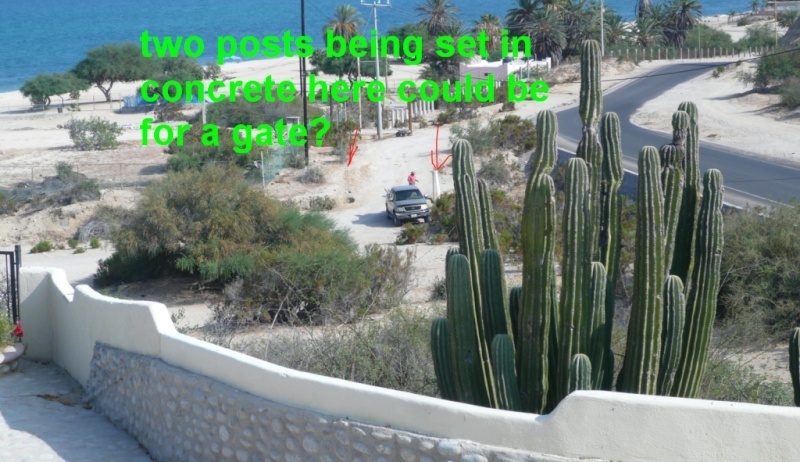 Some buddies of ours scored The Wall just south of Santa Rosalilita last November on their way down to La Ventana, mast high peeling 4.5 for 3 days straight. Some day Tyson and I need to get rich enough to afford an enclosed trailer so we can lock up our gear and leave it places and tour around the offroad spots in the van searching for wind and waves. 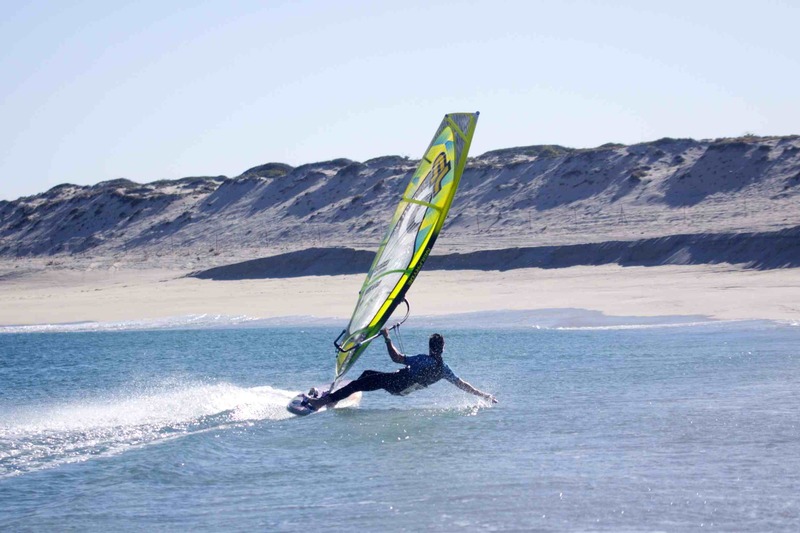 But all and all Baja is probably the cheapest wintertime windsurf destination. Just load up the can and head South towards adventure and good times. Would have been stoked to be on one of those trips with you in the heyday. As if wavesailing at Punta Marquez was not a good enough find our wanderlust also brought us to our new secret spot (which after this won’t be so secret anymore). February was cranking on as usual and after about 8 days straight of 5.0 or better and almost 4 months of sailing the same area we were getting a little tired of the same old game and a little beat up. 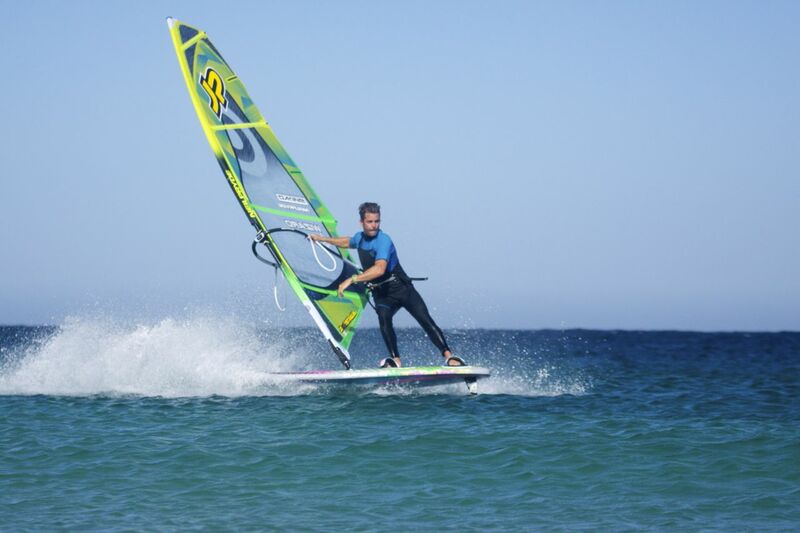 We had not been to El Farro in a long time and figured why not load up the van with windsurf gear and some ballenas and see if it was as windy out there as it was in La Ventana. It takes about 20 minutes to get to El Farro and the tunes were rocking as we pulled up to solid wind and a reef that extended a lot further out than we expected making great jumping waves that did not have you pushed right up against the beach. 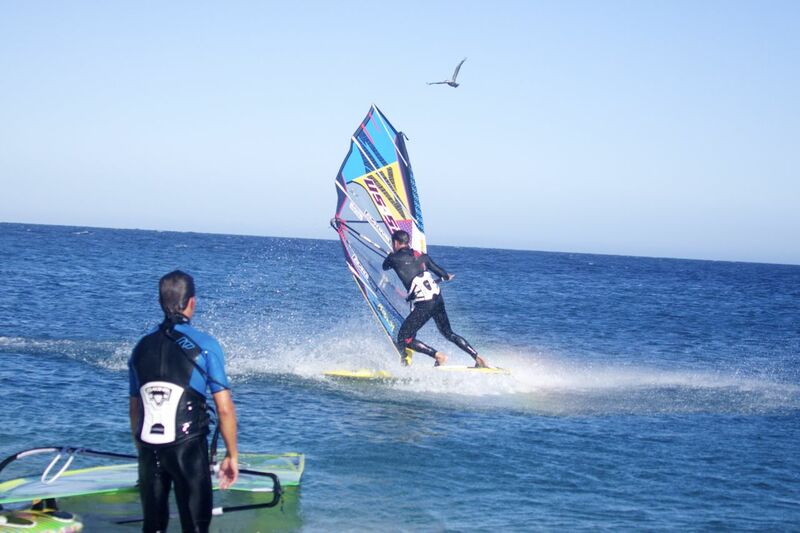 I hit the water first and as soon as I got far enough off the beach it was perfect back loop ramp after back loop ramp. The rest of the boys quickly took note and we were all hooting and hollering launching them on both sides. Tyson was the first to get curious about the sand point we knew was just a bit further east and downwind. I was having too much fun jumping and was unsure how the wind would be down there but after Tyson was gone for about 20 minutes without sailing back up I figured he had found something he liked. I headed down wind and found Tyson shouting “Its Perfect!!!”. The sand point was stick out upwind of a small bay blocking all the swell. The Sand finger lined up perfectly for a starboard broad reach and dropped off to a few feet right away so you could literally sail by it in butter flat water dragging your hand on the beach. It was some of the flattest water I have ever seen giving off that particular board chatter that comes from cruising across butteryness. We were both laughing at ourselves for not heading over to El Farro earlier in the season and Tyson was so stoked he ditched his gear on the beach and ran the quarter mile back to the car to grab the camera. We sailed and filmed for a couple hours, the conditions were insane. The water was so flat you could stand chest deep in the water with the camera and get great shots with perfect turquoise water. Next season it is going to be a regular thing to head out there. If it is honking in La Ventana but the swell is not firing it’s the perfect place to go train in ultra flat, and it’s a pretty fun drive too. 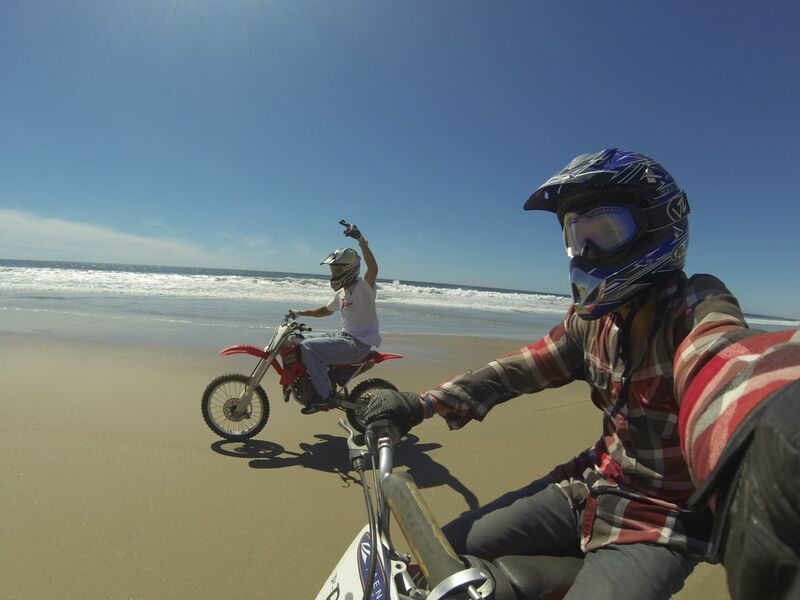 We managed a couple more prime sessions there before we left Baja, and we will be back in force next year for sure. We have been telling people for years that there is no really flat area in LV, but I guess we just hadn’t looked hard enough. here is what they are doing today.